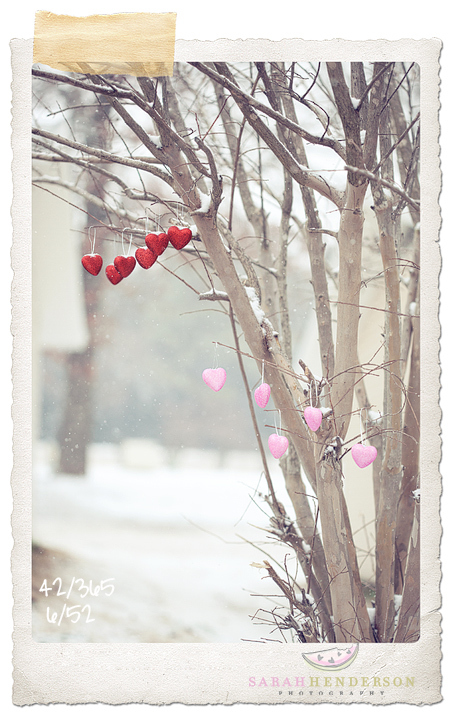 Just a bunch of hearts hanging out in the snow. The previous sentence pretty much sums up how our week has been spent. We have completely embraced the powdery white stuff. Instead of cursing our first winter here in Arkansas, we are thoroughly enjoying it and soaking up every fun moment the season brings. I am so happy to spend these days together as a family, playing in the snow to our little hearts content. Whatever that delicious smell is that’s coming from the oven. Hubby is surprising me with another dessert. Love that man. Watching our baby girl plop down and make snow angels wherever and whenever she see’s fit.